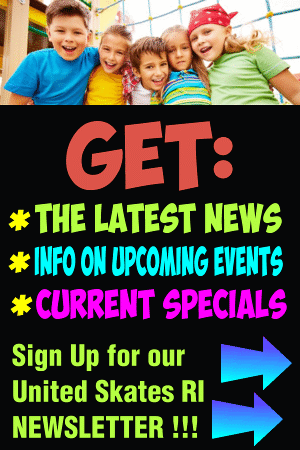 We plan special events for kids & the whole family all year long … with coupons to go with them. So if you’re looking for an amazing time packed with family fun … come to United Skates and discover our next special event planned just for you. Check out our latest Upcoming Events! All	sessions for ages 14 and under and adults. Private Parties are	available during any non-public skating hours including Sunday through Thursday	evenings.